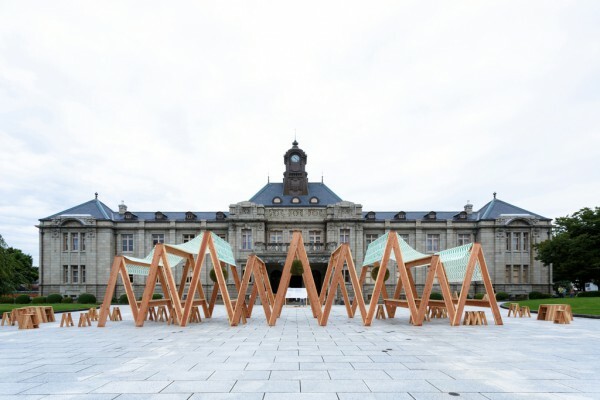 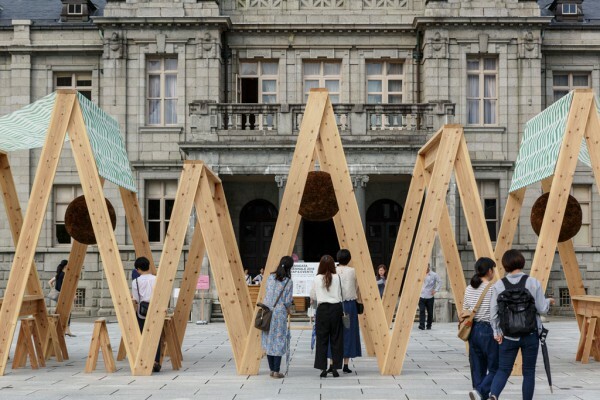 We produced a structure embodying the theme of the Yamagata Biennale 2018, "Like a Mountain", located in front of the Bunshokan; a building designated Important National Cultural Asset and serving as the main exhibition site for the event. 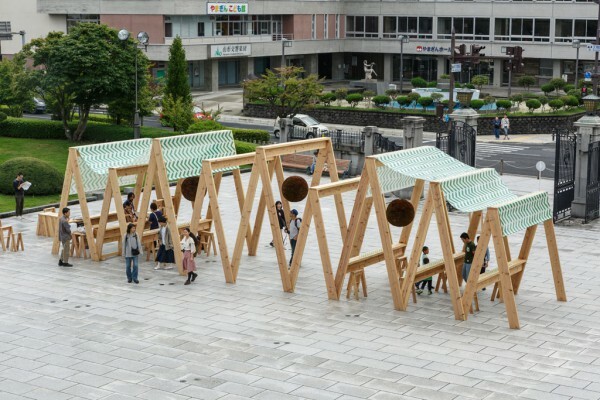 Its name, "Sanmon" or Mountain Gate, alludes to its function as the gate to the cultural festival. 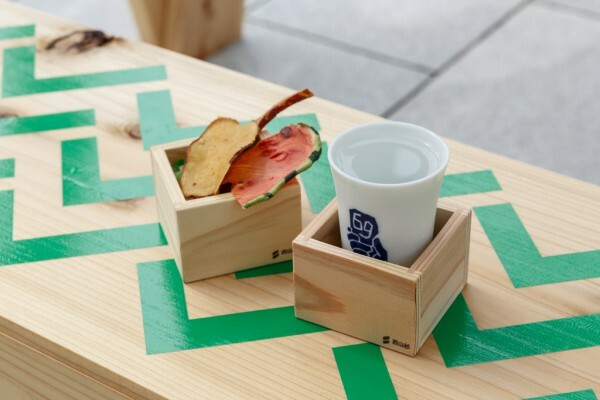 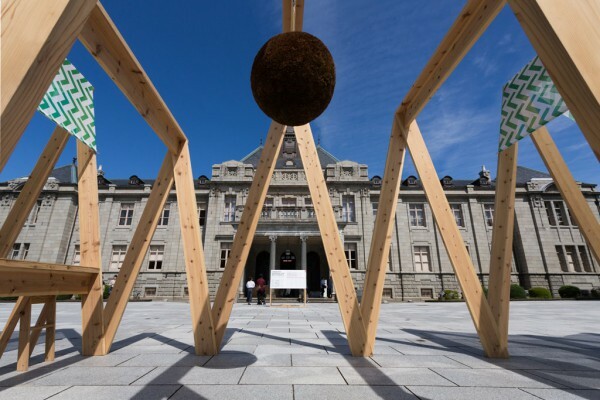 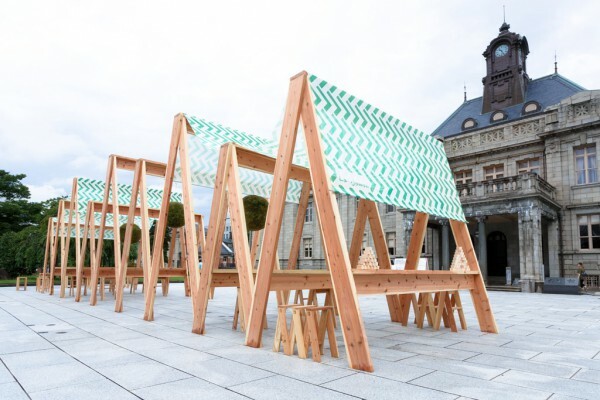 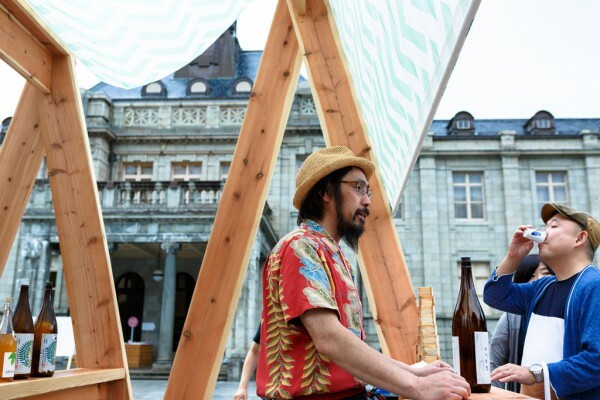 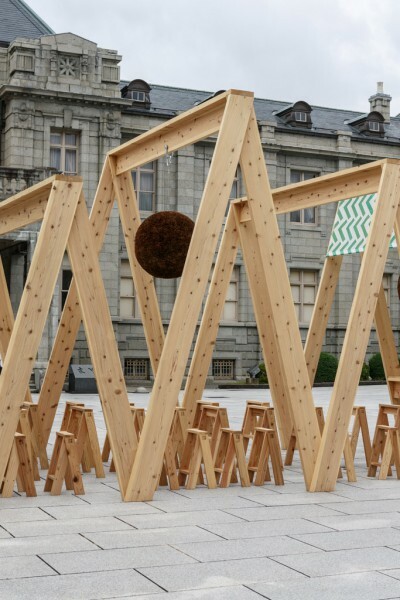 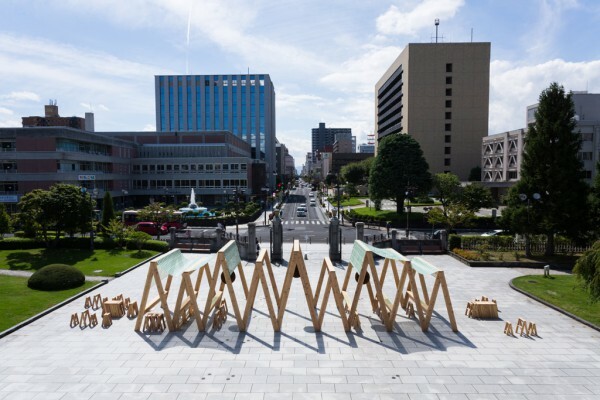 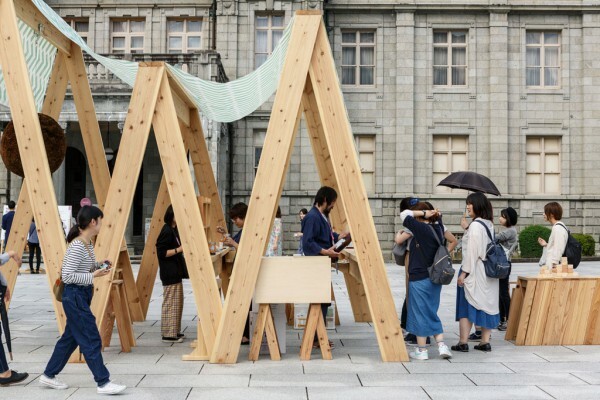 Visitors are greeted mountain ridge figure consisting of oversized "AA STOOLS" created in collaboration with Ishinomaki Laboratory using Nishiyama cedar which is the branded lumber of Yamagata prefecture. 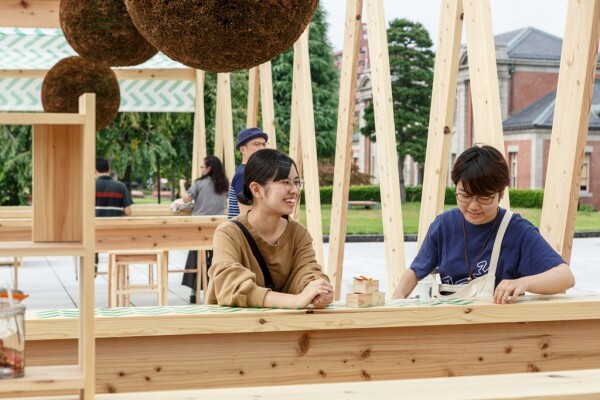 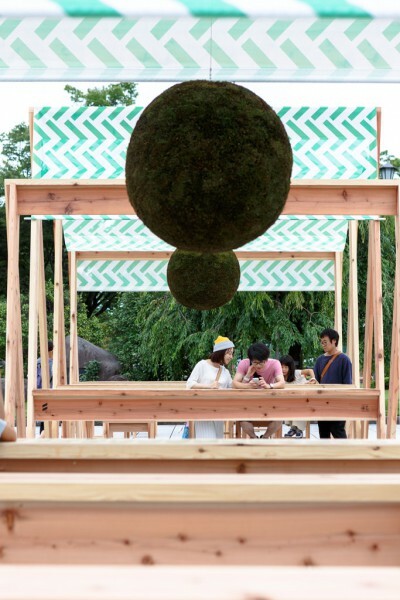 Moreover, the structure acts as a roof from which are hung sugidama or cedar balls, signaling a fresh batch of sake has been made, under which visitors can gather and enjoy locally-brewed offerings. 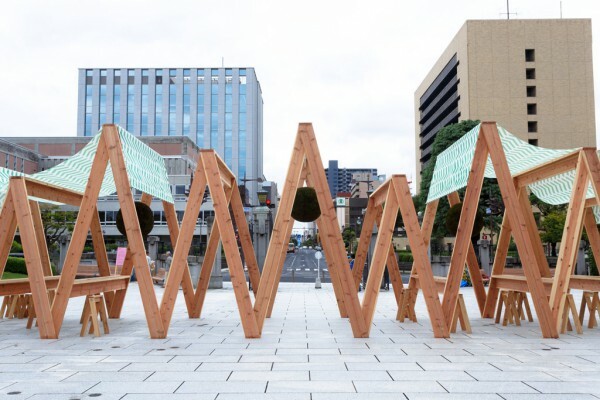 We sought to create a symbol capable of evoking a festive and exciting atmosphere befitting of a cultural festival while being reminiscent of the entrance to a sacred mountain.